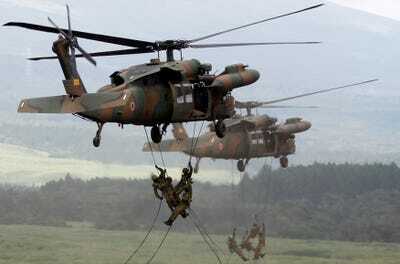 For a long time, Japan’s military force was an exercise in contradiction. The country has ranked among the world’s top military spenders, at almost $US50 billion in 2013 — despite a constitution that explicitly forbids war (and even the maintenance of “land, sea, and air forces”). But in July, the cabinet of Prime Minister Shinzo Abe approved a reinterpretation of the pacifist clause called Article 9. Without changing the constitution’s wording, Abe made clear that Japan intended to step up its military prerogative in the region, allowing it to come to the aid of an attacked ally, for instance. The country spends the equivalent of 1% of its GDP on defence, a figure that could grow after a decade of flat-lining; last year Abe’s cabinet approved a five-year spending plan on a laundry list of military hardware: Three surveillance drones, stealth aircraft, 52 amphibious troop carriers, 28 next-generation fighter planes (the F-35) and 17 Osprey aircraft units. The total expenditure from the plan is estimated to reach $US232 billion to $US240 billion. Aside from foreign purchases, Japan has also undertaken the development of its own advanced fighter. The ATD-X is envisioned as being a stealthy air-superiority fighter that could be deployed to counteract the development of fifth-generation fighters by China and Russia. Japan’s Ministry of Defence plans to use the research developed for the ATD-X as a stepping stone to the eventual development of a sixth-generation fighter that would be designed for counter-stealth capabilities. The new perceived threat is China, a country with which Japan’s relationship has never fully recovered from the latter’s imperial aggression before and during World War II. Alongside China’s economic growth has come a mushrooming defence budget, which has steadily climbed since 2000 (to $US132 billion). 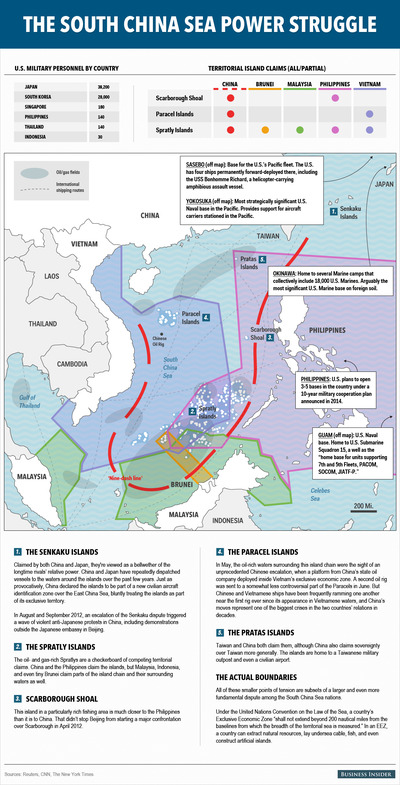 In 2010, tensions reached a low boil, catalyzed by a territorial dispute over the Senkaku (or Diaoyu) Islands in the East China Sea. More recently, China has shifted tactics over the island chain by sending fishermen en masse to the region in an effort to assert de facto control. Ahead of the Asia-Pacific Economic Cooperation Summit (APEC) last week in Beijing — where the two countries’ leaders halfheartedly shook hands for the cameras — Japan’s prime minister did at least open the door to fielding Chinese claims on the territories. But an eventual armed clash in disputed waters is certainly possible. 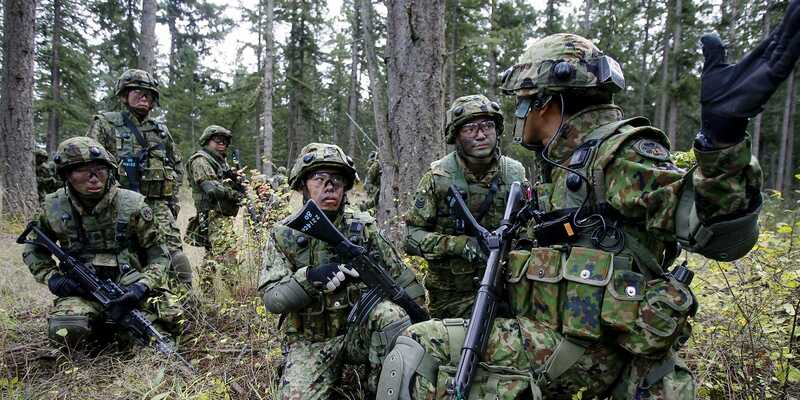 That case is the main driver for Japan’s renewed defence priorities, and for its move to base its new amphibious capability — including a radar station — in southwestern Japan. “In case of various situations, it is essential to respond effectively and minimize damage by achieving air superiority and command of the sea,” a document from Japan’s Ministry of Defence states. Alongside new military spending is the country’s cultivation of regional allies, and stronger cultivation of its long-standing alliance with the United States. If ever there was a formula for world wars, it’s minor disputes between countries backed by big allies (“it’s likely that there will be a third world war to fight for sea rights,” reads one op-ed by a professor at a a Chinese military university). Even Shinzo Abe, a man in leadership rather than academia, this year compared the trade-heavy relationship between China and Japan to that of the UK and Germany before World War I. The advent of another great war isn’t foregone. The Japanese public, for one, still remains largely opposed to war. 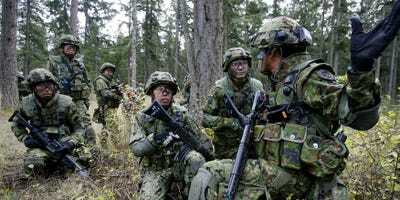 In a 2013 Pew research poll, 56% of the Japanese public said they were against any form of military effort other than defence, although there has been a gradual trend towards military action becoming more acceptable within the nation.